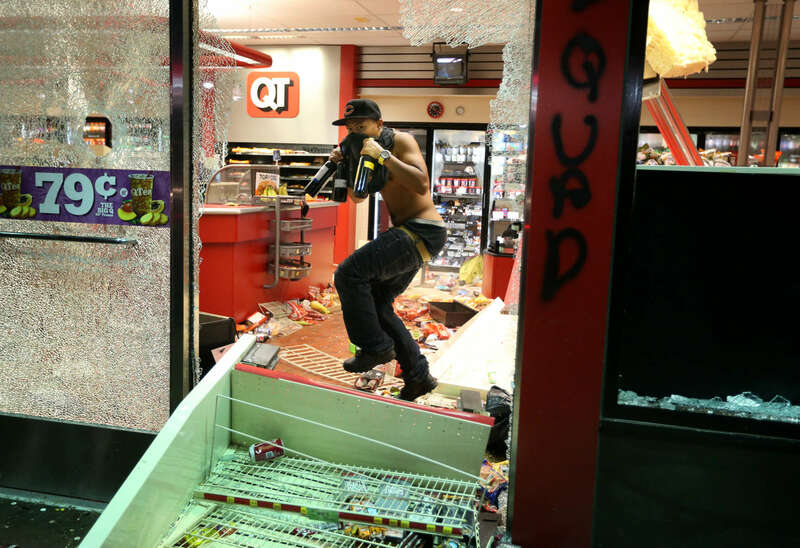 A looter takes items from inside the QuikTrip in 9400 block of W. Florissant Avenue in Ferguson, Mo. on Sunday, Aug. 10, 2014. Rioters set fire to the store about an hour later.